Adding plantation shutters to your home windows can increase the value of your home, cut energy costs, let you control the light in each room, and look absolutely beautiful. Get the most out of your home improvement dollars by purchasing the highest quality, advanced designed, most modern, and longest lasting plantation shutters available, Norman® Shutters. Norman® Shutters are far superior to other brands on the market today. They go to great lengths making sure the raw materials used in the manufacturing process are of the highest quality. Their products are designed in a way that allows Norman® Shutters to outlast any other shutter available. They also take the modern family into consideration by offering the Perfect Tilt® RF system. When it comes down to it, the most important part of high quality plantation shutters is the materials they are made from. Norman® Shutters obtain their wood from all over the world, including their own wood farms. They use a process called Prescription Wood Conditioning® to acclimate the wood. This prepares the wood for your home and prevents warping, swelling, or any long-term damage. Quarter sawn wood is also used to help fight cupping and warping from heat or moisture. Norman® Shutters then applies a patented polypropylene coating that gives the shutters the same strength as a football helmet while also resisting elements, including high temps and humidity. This coating also creates an easy-to-clean surface that won’t yellow or fade. is made with reinforced engineered layers of wood, giving the shutter a stable support system. Mortise and Tenon joints, typically used in buildings and other construction are used to lock the pieces into place. A recessed magnet system, used to create a tight seal that reduces light leakage, is more esthetically pleasing and less likely to be effected by the heat and light over time. Norman® also uses stainless steel staples, which are longer and have a micro barb technology to ensure their blinds last a lifetime. Norman® Shutters are engineered with the modern consumer in mind. The InvisibleTilt™ system is proprietary technology that allows all louvers to tilt in unison, creates a tight closure, and has a streamlined appearance. Finally, the most high tech feature offered by Norman® Shutters is the PerfectTilt RF® remote system. With this system, owners can tilt to whatever angle, unlimited number of shutters, and set the timer to tilt automatically with eTimer. The PerfectTilt® RF system can aid in home security, energy conservation, and shutters that are difficult to reach. 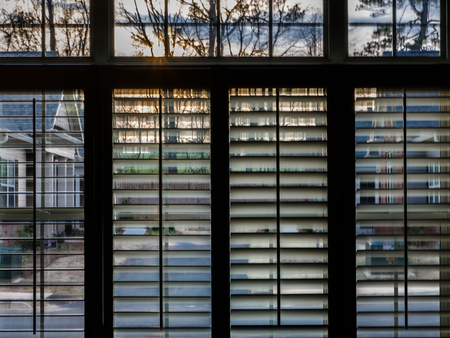 Norman® Plantation Shutters are a valuable investment to make while improving your home. 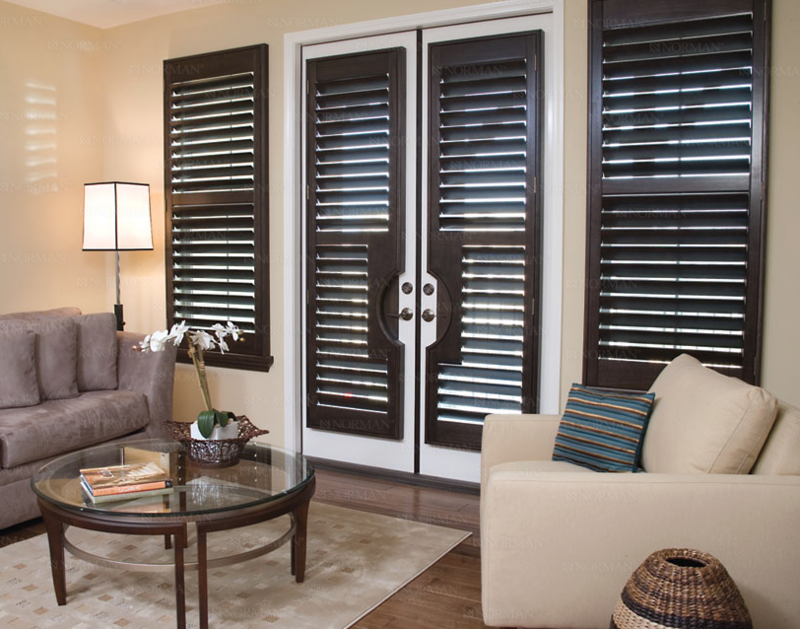 Sarasota Blinds LLC proudly carries Norman® Plantation Shutters so our clients will have the best product available.